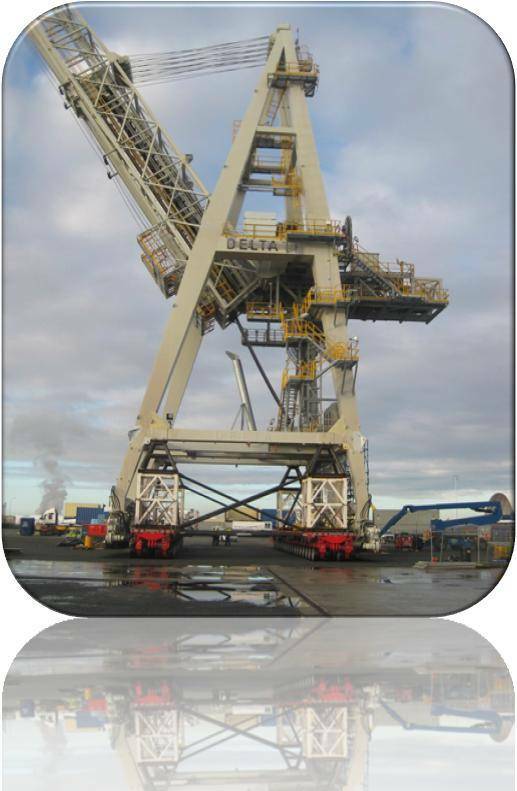 Delta Engineering's Shiploaders are built for performance and long lasting reliability. They are matched to a specific application. 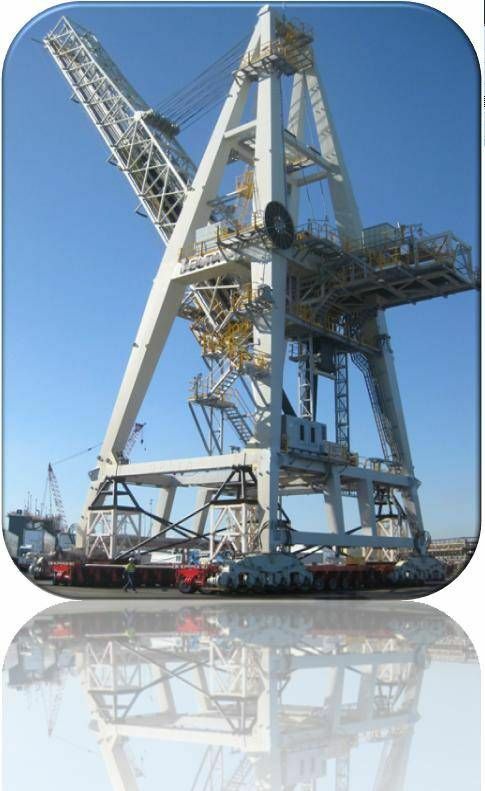 Delta has designed, built, and commissioned fixed and "on-rail" Shiploaders. 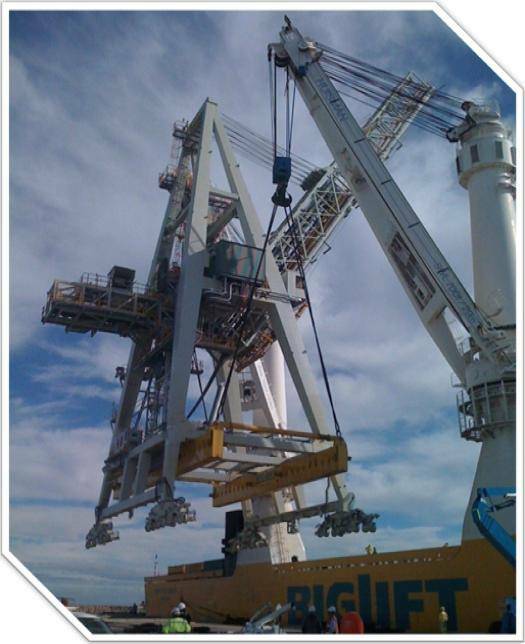 Shiploader capacity can vary from 1000 tph to 12500 tph or even larger. 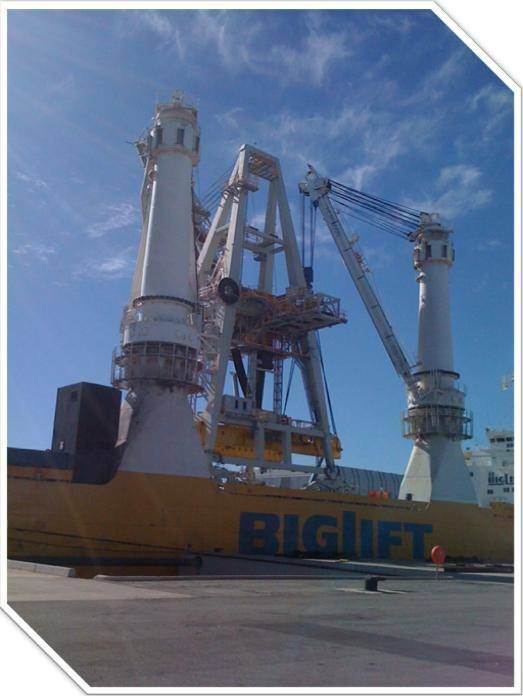 • A variety of materials can be loaded on ships. 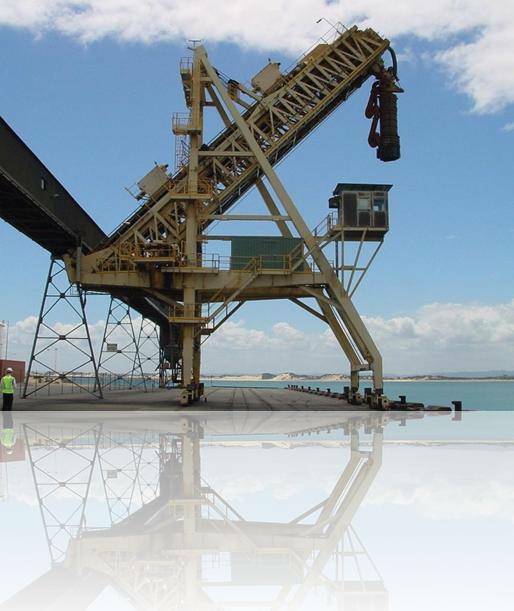 Dust suppression systems on our Shiploaders are used for dusty materials including telescopic load-out chutes of different capacities. failsafe with hydraulic release. 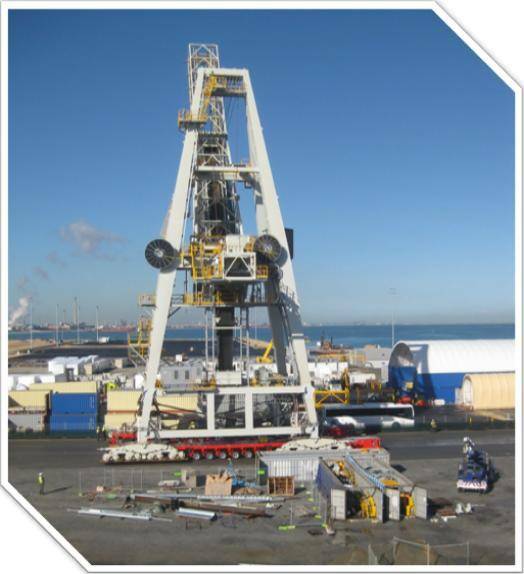 Luffing of the Shiploader boom is normally done via luffing winches and rope/sheaves system, which provide the mechanical advantage needed for operation. 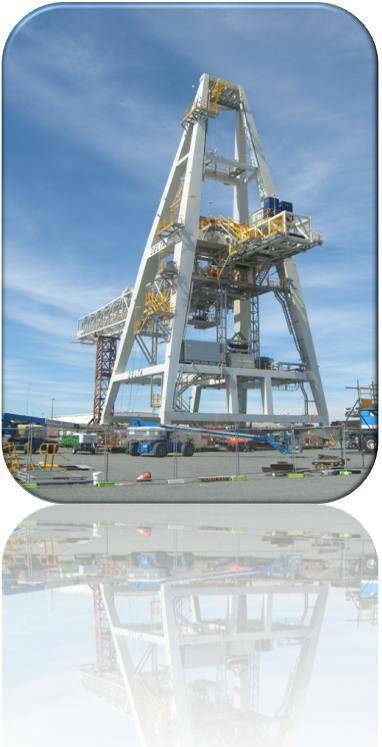 • Shiploaders with a boom reach of up to 30 metres or more have been designed and constructed by Delta Engineering. The "On-Rail" Shiploaders are normally designed and built with heavy duty pivoted bogies and stabilizer bars. • The Shiploader's electrical control system is via a Programmable Logic Controller(PLC) which provides for easy parameter changes if required.